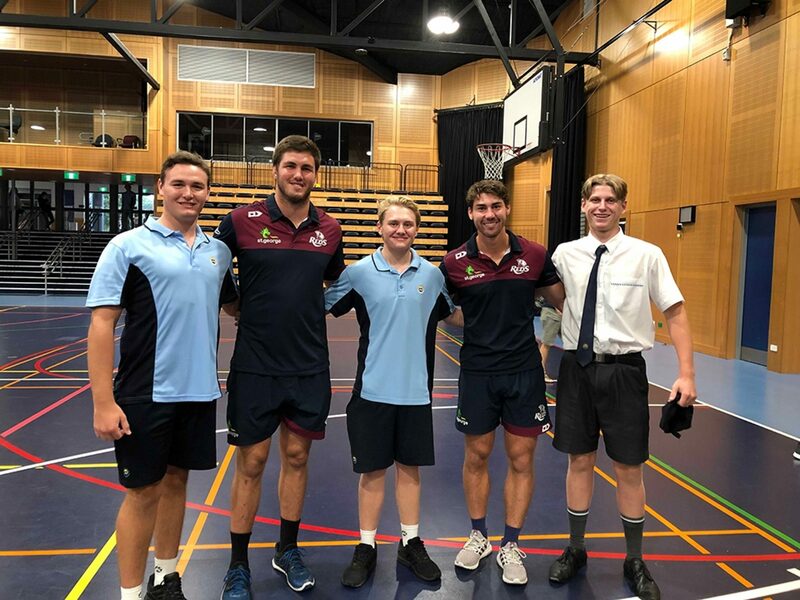 To mark the beginning of the Junior TAS Rugby program and its alignment with Rugby Australia’s ‘Get Into Rugby’ initiative, Sheldon College hosted two Rugby Union players from the St. George Queensland Reds, Jack Hardy and fellow teammate Liam Wright. The pair delivered an excellent start to the program by giving the students some wonderful advice and sharing with them many of their special tips and tricks surrounding the game. Not only was this experience a memorable one for the students, but also for the coaches and staff who were also involved in the training session. The aim of the program, Get Into Rugby, is to encourage players of differing ages to Try, Play and Stay in Rugby, whilst also promoting the values of the game. 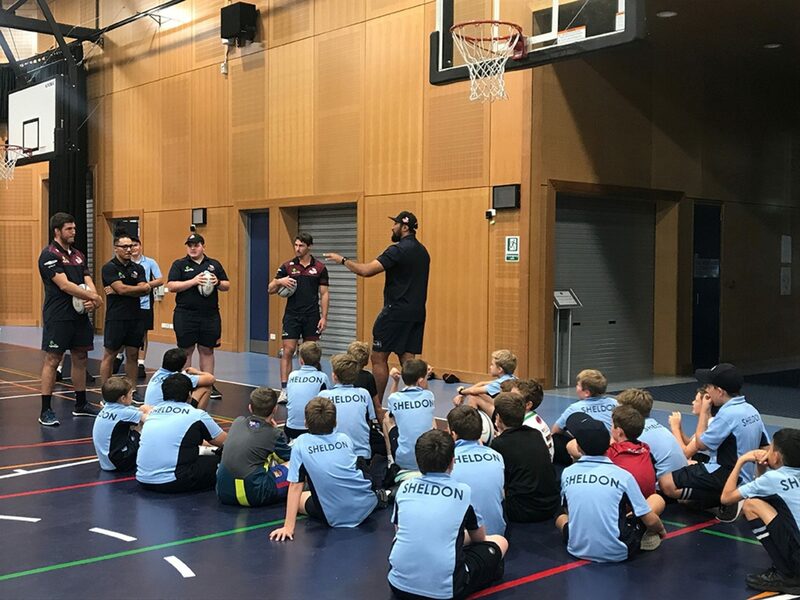 “It was a wonderful opportunity for the students to receive guidance from two professional Rugby Union players, especially during the launch of our new program. 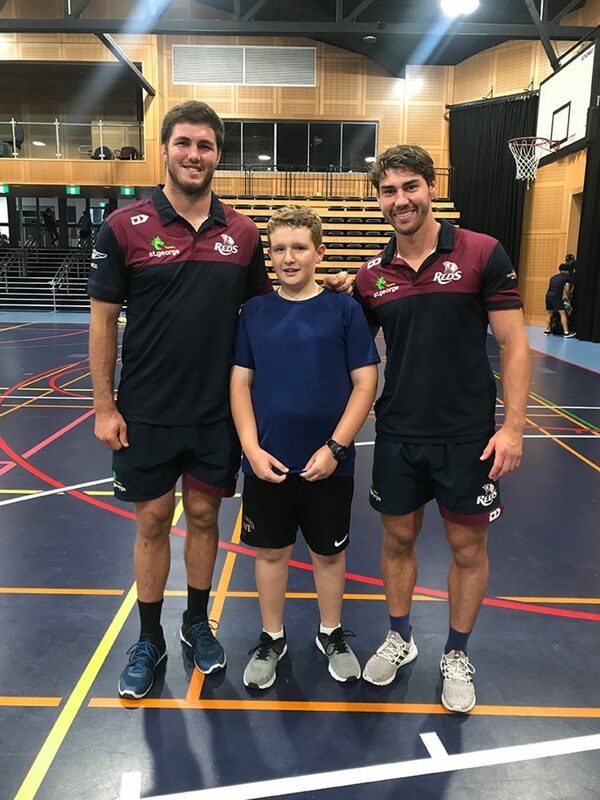 Get into Rugby is a perfect starting point for the young players in our Junior TAS Rugby program, as it aims to develop a basic and confident skillset in a fun-filled and safe environment,” said Krista Quirk, Acting Head of Primary Sport. 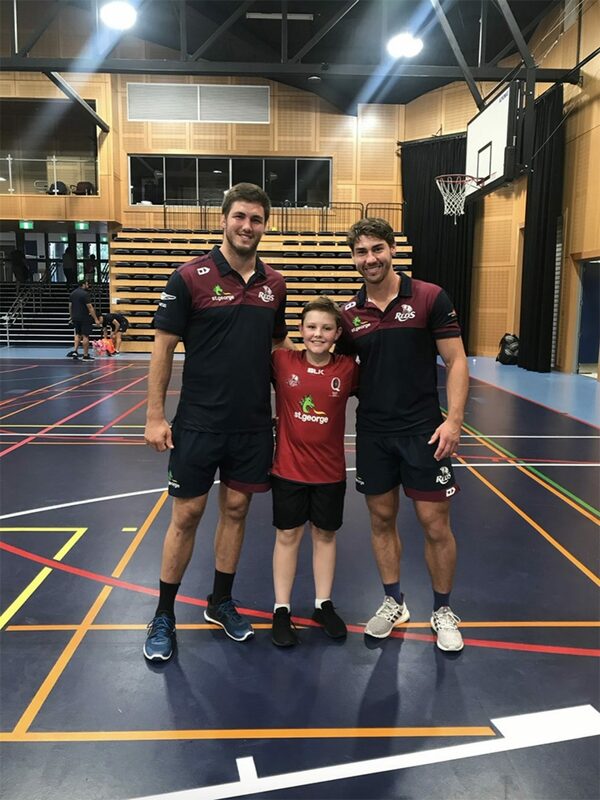 Sheldon College would like to extend its thanks to Liam and Jack and wish the Queensland Reds the best of luck for their upcoming game against the Rebels this Saturday.